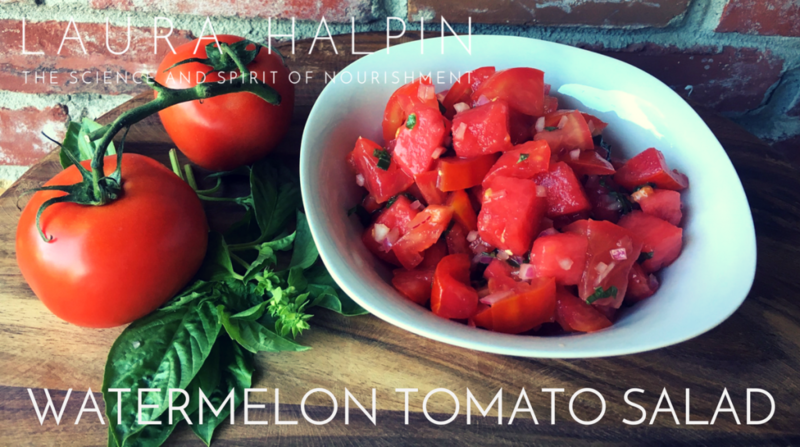 There is nothing better than fresh tomatoes in the summertime, except maybe fresh watermelon. This salad combines these two summer starts into one amazing salad. It's like summertime in a bowl! For dressing, combine olive oil, apple cider vinegar, lime juice, cumin and cayenne pepper in a small bowl. 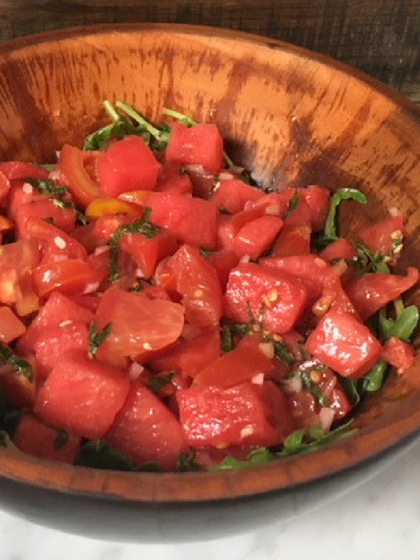 Cut watermelon, tomato, onion, and basil and add to large bowl with arugula. Pour dressing onto chopped ingredients and gently combine & serve.